If you love potted plants, you probably have heard of peat moss. This gardening mix started to gain popularity in the 40s and has continued to be used widely. Despite all the benefits for gardeners and plant enthusiasts, this compound is not without downsides. Here are things you need to know before trying this material in gardening projects. 1. What is Peat Moss? 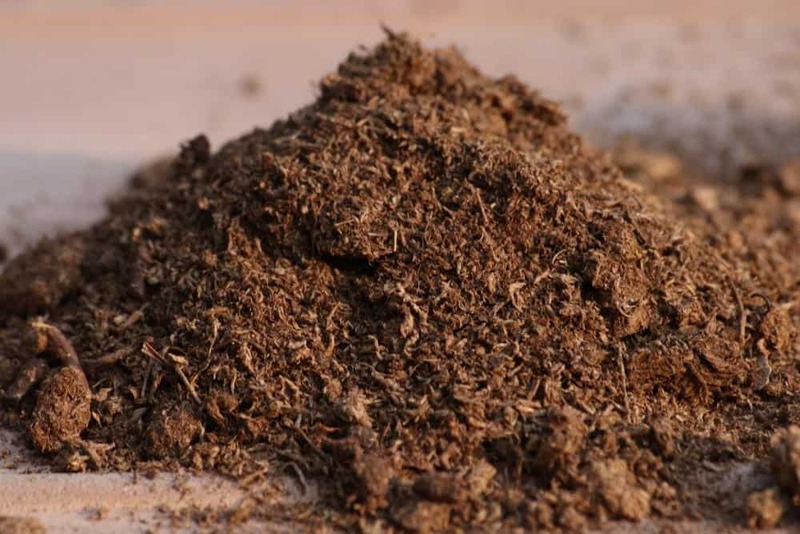 Peat moss is a term for fibrous remains of sphagnum moss and other vegetative materials that decomposed in a peat bog. Accumulated in the bog after hundreds of decades, this material might not entirely decompose, because the peat bog has anaerobic environment. The result is an acidic, dry compound that retains water and nutrition when used in the garden. In North America, peat moss comes from peat bogs in Canada, mostly in remote areas. The compound is dried, bagged, and sold to various garden supply shops and plant nurseries. While it is unsuitable for certain plants, it has specific benefits, including for seeds and potted plants. Peat moss arrives at stores in the form of dry, dark brown compound that slightly crumbles when you squeeze it. The moss does not become “compacted” when you put it in pots or garden beds. You will also notice its light weight when you pick the sack that contains the moss, especially compared to the regular soil mix. Is peat moss acidic? The answer is: yes, but in the middle range. Average peat moss pH is around 4.0 to 4.4, although you may find products with 3.5 to 6.0 pH level. Peat moss is recommended for plants that love acidic soil, but you don’t want to use it if the soil is already acidic. Peat moss is perfect for indoor gardening or potted plant because it is easy to clean. Its dry and “crumbly” characteristic makes it easy to work with. Unlike soil, you can rescue wet peat moss. Just dry it, and you can use it again. Sphagnum peat moss does not “suffocate” your seeds when you put it in seedling trays. Unlike regular soil, you can place it in any medium without accidentally making it more compact. It is great to help the seeds or roots “breathe”. When working with seedlings, you may often worry about accidentally killing them by contaminated soil. Peat moss is a clean and sterile alternative for seedlings and seed trays. The processed version is free of fungus, chemicals, bacteria, and stray weed seeds. While the new peat moss from the store may repel water at first, it will quickly develop the high water retaining ability. This makes peat moss perfect for seeds and seedlings that need constant moisture intake. The porous structure of peat moss also helps water and nutrients from seeping through it. Depending on your gardening project, this characteristic is perfect to keep your plants happy. Interested in soilless planting? Peat moss is one of the best planting media for your plants. This material is often mixed with vermiculite, perlite, and additional nutrients to support healthy growths. If you buy new package of seeds, you need to “start” them before sowing. Starting seeds requires good medium that can retain water and allow nutrients to get absorbed easily. Peat moss can be your perfect medium, especially since it is free of bacteria or fungi. Certain plants love acidic soil, and they cannot grow properly unless you prepare the soil. Use peat moss to plant blueberries, strawberries, tomatoes, camellias, or azaleas, especially if your garden soil is not acidic enough. If your garden soil is unable to retain water, or offers poor nutrient absorption for your seeds, you can use peat moss to treat it. Spread peat moss on the soil you want to work on. Make sure the peat moss is around 3 inches thick. Work the moss until it is mixed with the soil (around 6 inches deep). Use a rake to do the job properly. Spread the grass seeds on the worked soil and cover them with another layer of peat moss (around ¼ inch thick). By covering the damaged patches with peat moss, you can improve the soil condition and help the seeds to grow faster, resulting in the better-looking lawn. Peat moss has caused quite a controversy among environmentalists. Since peat moss traps carbons, mining it may release CO2 to the atmosphere and contribute to global warning. Peat moss retains water and helps plants to absorb more moisture. However, when you buy a new bag of peat moss, you will get a really dry mixture that is difficult to moist. You need to soak the peat moss completely for a long time. The pH of peat moss may be useful to plant certain seeds, but you should not rely on this mixture often. Repeated changes of the soil’s acidity level can damage it, making the soil unusable for future planting. Peat moss is not always an ideal option for gardeners. Understand the characteristics of your soil and plants before deciding to get it. Peat moss may be controversial, but its antibacterial quality and ability to retain moisture making it ideal for seeds, seedlings, and potted plants. However, its unique texture and high acidity level can bring certain effects to your crops. Make sure you understand the benefits and downsides of peat moss before using it.